SAINT JOHN, N.B. -- Dennis Oland will be back in a Saint John, N.B. courtroom today as lawyers make arguments for sentencing on his conviction of second-degree murder in the death of his father. 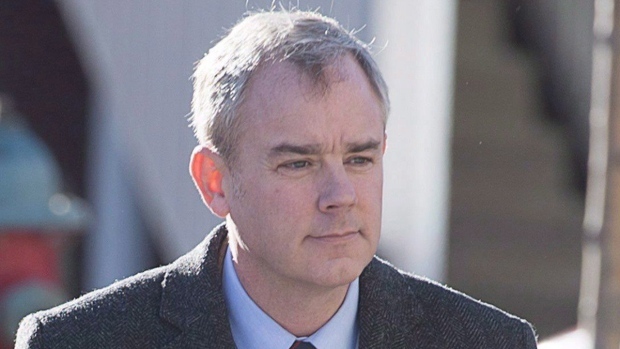 A jury found Oland guilty of the crime in December following a trial that lasted four months and captured widespread public attention. The Olands are an establishment family in the history of the Maritimes, having founded Moosehead Breweries, though Richard Oland left the family business in 1981. A conviction for second-degree murder carries an automatic life sentence with a range of parole eligibility set between 10 and 25 years.